What should you wear at the Venice opera house La Fenice? This is a question our guests always ask us, when they are about to spend a night in Venice, at the most beautiful theatre we have in town. We would like to make this easier for you, by telling you all about the dress code at La Fenice in this article. However, before exploring this topic, we would like to tell you more about the history of this incredible temple of music in Venice. Paying a visit to La Fenice Theatre is definitely something you should add to your Venice schedule, since it played an important role in the world of music during the nineteenth century, and also because it is surely worth a visit. You’ll be struck by the beauty you’ll see inside. It’s not by chance that the Venice opera house is called “La Fenice” (The Phoenix) if we investigate deep down into its past. La Fenice was built in 1792, opening to the public in time for La Sensa Feast in May, with I giuochi d’Agrigento written by Giovanni Paisiello. Initially, there was no royal box at La Fenice, but when Napoleon conquered Venice it became necessary to build one so that the emperor could properly attend the opera. 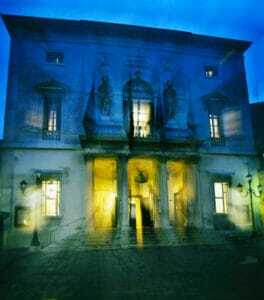 This wasn’t the only change La Fenice had – the theatre was completely renovated between 1825 and 1828. Unfortunately, in 1836, a fire caused by a malfunctioning stove partially destroyed the theatre, including a portion of the stage. It was rebuilt the following year. Then the theatre was renovated again in 1936, but then in 1996 an arsonist entirely destroyed it. When the St. Mark’s Bell Tower collapsed in 1902, Venetians rebuilt it “as it was, where it was”, as they said, and so they did with the Venice opera house. As the Phoenix rises from the ashes, so did the theatre. The building we see today is a perfect copy of the original La Fenice opera house, so it won’t be weird saying that you’ll probably feel the same way as our Venetian relatives did when they stepped in for the first time. Let’s get into the heart of this article now, learning what the perfect outfits are for a night at La Fenice Theatre. First of all, what you wear is strictly connected to what kind of event you are about to attend. In fact, there are rules for afternoon performances, and for the Opening of the Opera or Concert Season. To be specific, you’re always expected to look smart, even when you’re wearing something casual. People wearing shorts or sleeveless shirts are never allowed inside the theatre, no matter what is on stage. During the Opening Opera or Concerts Season wearing a shirt, with a tie and a jacket is warmly recommended. For the afternoon performances, instead, you can wear anything smart-casual. Now that you know everything about the Dress Code at the Venice opera house, why not buy a ticket and spend an incredible night in one of the most enchanting theatres in the world?